Save 20%! 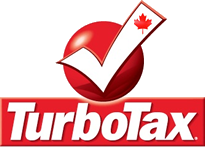 Find TurboTax 20 Canada at up to 20% off. 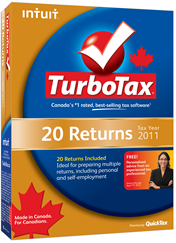 Find select versions of the Canadian version of TurboTax 20 now on sale at up to 20% off the listed retail price (as low as $99.99) at Amazon.ca. Plus, all orders shipped within Canada will include free standard shipping. Because Amazon has several TurboTax versions on sale, prices will vary depending on the one you end up choosing. Discounts and sale prices may vary without notice. No promo code is required as the discount will already be reflected in the sale price posted on the site. This product is a mix of features found in personal and business income tax preparation software. It is best for preparing multiple returns (up to 20) where the net individual income is more than $25,000. It has been designed with focus on automation in order to make the tax preparation process as smooth as possible. Importing prior year tax returns – personal information is automatically filled out. Importing financial data – information about your tax slips or RRSPs is available from participating providers; some include epost.ca, cifunds.ca, or canadahelps.org. Business income and expenses can be imported directly from QuickBooks or Quicken. Audit alert – scans the information entered and pinpoints potential audit triggers; Audit Defense takes care of any potential dealings with the CRA. File electronically using NETFILE; get the refund as a direct deposit. TurboTax 20 for Business is a worry-free product. Besides automation, it assists you all along with simple interview questions to better understand your personal and professional situation and search for appropriate deductions and credits. The software is very helpful in planning your financial future. It lets you experiment with your RRSP contributions and shows you how different levels affect your refund or liability. In the similar fashion you can verify if making changes to your Canada Pension Plan income benefits you or not. Plus the software helps calculate cost basis of your investments and income or loss on your rental property. On the business side, TurboTax 20 will search for credits, deductions, and other tax benefits related to your self-employment, calculate loan payments and amortization, and help maximize the eligible business expenses. The last step is a verification process for errors, calculations, deductions and credits to ensure 100% accuracy and maximum refund or minimum liability on your part.